Depression and anxiety are symptoms of a body/mind/spirit stuck in a fight or flight reaction, and unable to find a way out. Trauma often leads to depression and anxiety. Anxiety, depression and trauma affect everything in every way in your life: your physical, mental, emotional and spiritual health. The worst part of it is that you feel like a stranger to yourself. Western medicine holds that anxiety and depression are chemical imbalances, and they often are. However, conventional medications don’t correct the root causes of depression; they medicate the symptom (benzos for anxiety, SSRIs for serotonin imbalance). There is no means in conventional medicine to help the body and brain find its balance and work towards restored health through correcting root causes. Did you know that whole grain carbohydrates are necessary to create proper levels of serotonin? If you mostly eat processed foods, and don’t take a multivitamin (at a minimum), you are depriving your body of the building blocks of brain health. It’s impossible not to feel depressed or anxious if your body doesn’t get the molecules it needs to build neurotransmitters. Furthermore, our brains are wired to remember the bad things that happen to us to keep us from harm in the future. The problem is that in depression and anxiety, our neural circuitry often gets stuck in negative feedback loops. Acupuncture and Chinese herbs interrupt these negative loops, calming the nervous system and allowing new pathways to develop over time. Chinese medicine, through acupuncture, herbs and lifestyle changes, works to bring back the body’s ability to heal itself. For many of my patients, lifestyle changes can relieve many of the symptoms of depression and anxiety. Acupuncture and herbs work synergistically with these changes to help resolve the issue. Lifestyle changes aren’t the only answer, but they are an important piece of the puzzle. For patients who are depressed, in particular, lifestyle changes can be hard to make. I get that. One of the hardest symptoms to deal with is the complete lack of energy and drive to make seemingly simple decisions or changes. I know how hard it is to find the motivation to do anything when you are depressed. That is why acupuncture is such an important part of recovery: rebalancing your energy helps you feel better, and in a few treatments gives you the spark you need to start to change other things. Many of my patients, especially those suffering from anxiety, find that they can get off their anti-anxiety medications. For depression, sometimes my patients can get off them completely; sometimes they still need medications but are fine at a reduced dose. 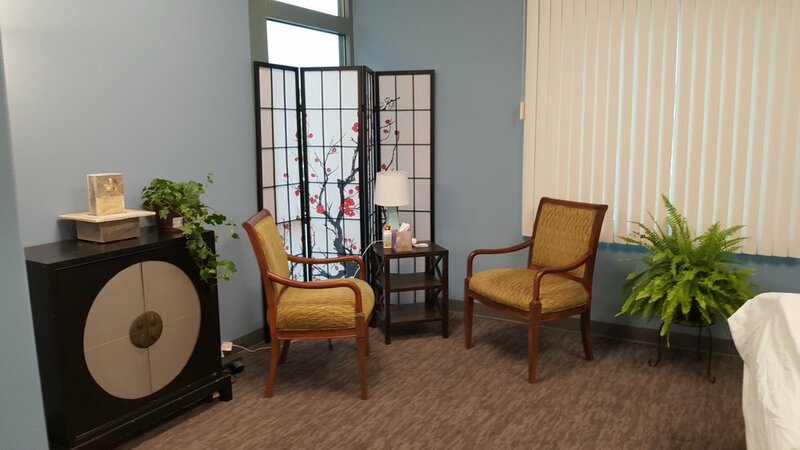 Each patient is different, and my goal is to help you feel better, whatever mix of therapies is most helpful. For trauma patients, the process is similar, though I find that addressing trauma works best in conjunction with therapy. I do a free 20 minute phone consultation for patients interested in addressing anxiety, depression and trauma. Please call 702-539-9185 to schedule a free consultation and set up an appointment. You can feel more like yourself!